A summer flounder is will take a bait anytime it is hungry and the opportunity presents itself. However a moving tide is like a dinner bell to flounder, and the bite really turns on when the tide is moving. Look for flounder in eddies created downstream of structures and keep your baits in those areas. The feeding area changes as the tide changes; always fish down current for flounder. Also fish sand spots in a grass beds or the edge of grass beds. Flounder also like to feed under lights at night. Larger fish seem to congregate under lights at night in water which is significantly shallower than where you would find the during daytime. Fishing lighted docks at night with natural and artificial baits have led to a lot of good catches for me. Use big baits for big fish. A flounder will readily eat a baitfish that is nearly the same size as itself. It is not uncommon for an 8lb fish to have a 2lb mullet in his gut and still eat your bait! That being said, I prefer to fish with baits in the 6- to 9-inch range: big enough to interest the big fish, but small enough for a more averaged size fish (3-4lb) to eat. Save the belly meat! Strips of flounder belly make great baits. To make the strip bait last longer, place it in a bag of kosher salt for 24-48 hours in the fridge. this will draw out much of the moisture and leave you with a tough, durable bait that can last many fish. A good trick for fighting big flounder is to use make a figure-eight with your pole while fighting the fish. This is especially useful from a boat if you can get over the top of the fish. I won't pretend to know why it works, but I've landed plenty of big flounder in less than two minutes on light gear using this trick. Finally, use pliers or a dehooker when removing the hook. A flounder bite isn't going to take off your finger, but trust me, it doesn't feel good. 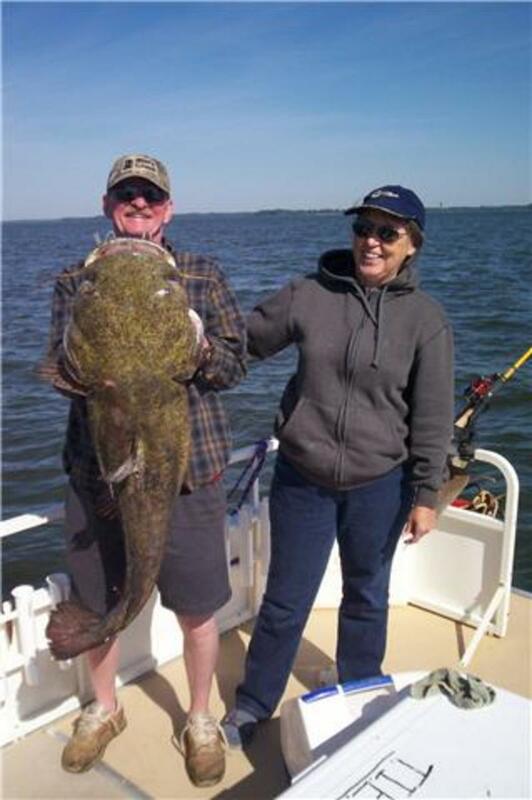 A wide range of tackle can be used when flounder fishing. Which gear to choose really depends more on the method you choose to than on the fish themselves. While great eating fish, they aren't the most spectacular fighters. Light or medium-light gear is appropriate for most fishing applications. Even ultra-light gear can be used, though you may lose a few larger fish to break-offs. If fishing live or dead baits, a medium or medium-light rod paired with a reel capable of spooling 150yds/10 lb test is all you need. For casting lures, a lighter rod with more action is a better bet. Hooks can and usually should be a bit on the larger size for flounder fishing. They have large mouths full of sharp teeth, not something you really want to play with. I either use 3/0 to 5/0 circle hooks or a 2/0-4/0 worm hook for flounder fishing. Jig heads in the 1/4-3/8ths range are well suited to flounder fishing. Leaders are optional with flounder. While they have sharp teeth, they are designed more for grasping prey rather than cutting it. Steel leaders tend to reduce strikes, especially in clearer water. The rig used to catch flounder depends on where you are fishing for them. If fishing a shallow flat, a bait can be free-lined over the area and allowed to swim freely. If fishing in deeper water, a slip lead rig is best. Live bait fishing for flatties is a great way to catch a nice meal. Depending on the depth you will be fishing use either a free-lined bait or a slip lead rig. Usually a leader isn't needed when free-lining, but if you are getting cut-off, usually by other fish (blue fish, mackerel), try using a 20lb mono or flouro-carbon leader. Leader length should be at least 18in up to 36in. When fishing with a slip lead, use the smallest amount of weight you can to keep the bait on the bottom. Also leave a little bit of slack in the line, so that the flounder doesn't feel the weight right away. Reel in the line every few minutes to move the bait, but if you feel added weight leave the bait be for a few seconds before coming tight or setting the hook. The hit is usually subtle; oftentimes it feels as if you are snagged on the bottom rather than having a fish on. The advantage of a free-lined bait is that it will naturally move around and you don't have to move the bait yourself. Instead, watch the line. When the line stops moving, weight for a 4 or 5 count, then either reel tight (circle hook) or set the hook (worm hook). Flounder first grab a prey item and hold it for a bit before turning it and swallowing it, especially if it is large. 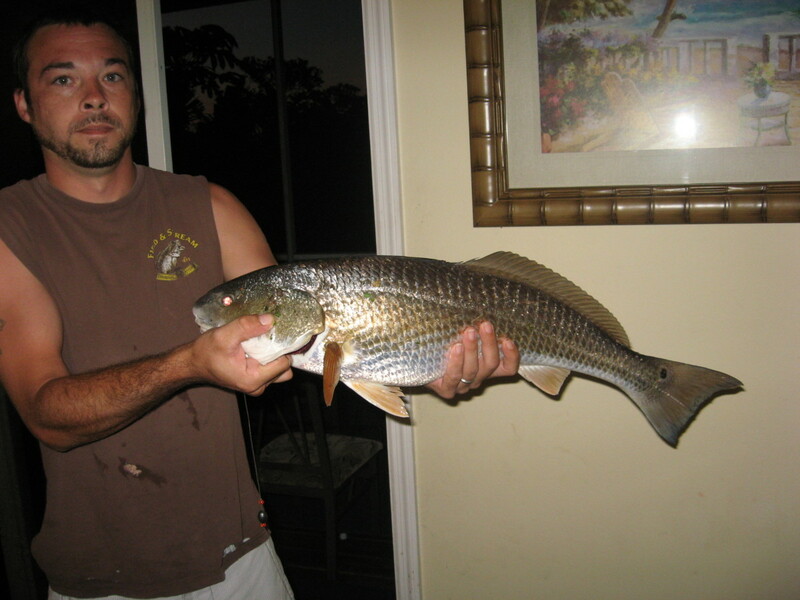 The best choices for flounder bait are larger live shrimp and any number of bait fish. 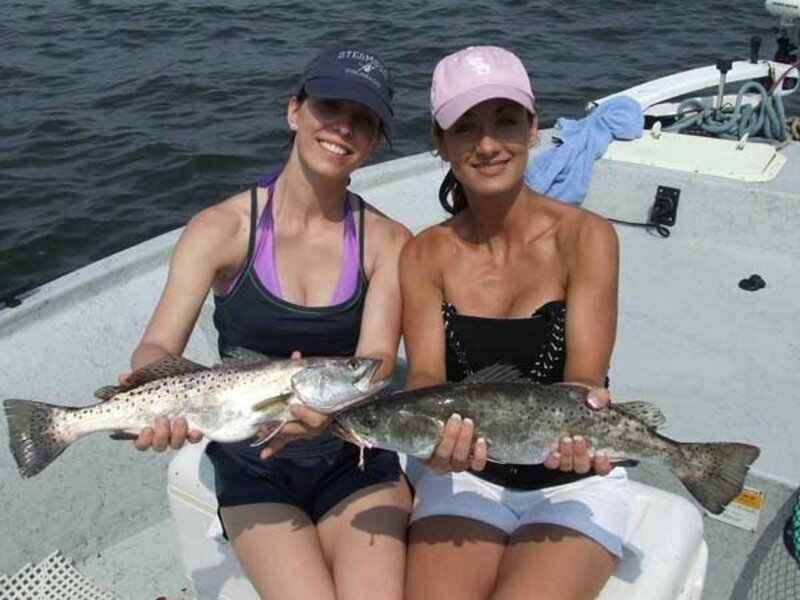 Preferred bait fish include mullet, bull minnows, small spot, small pinfish, small croakers, or any other small bait fish you can find. To weed out the smaller fish, go bigger on your baits. I have had a lot of success using 8-9 inch finger mullet to catch larger flounder. You will get less hits overall (unless the spot you are fishing is loaded with flatties) but the fish you do catch will be larger. Larger baits take longer to eat, so let the fish 'chew' on the bait for an extra couple of seconds to ensure a good hook set. 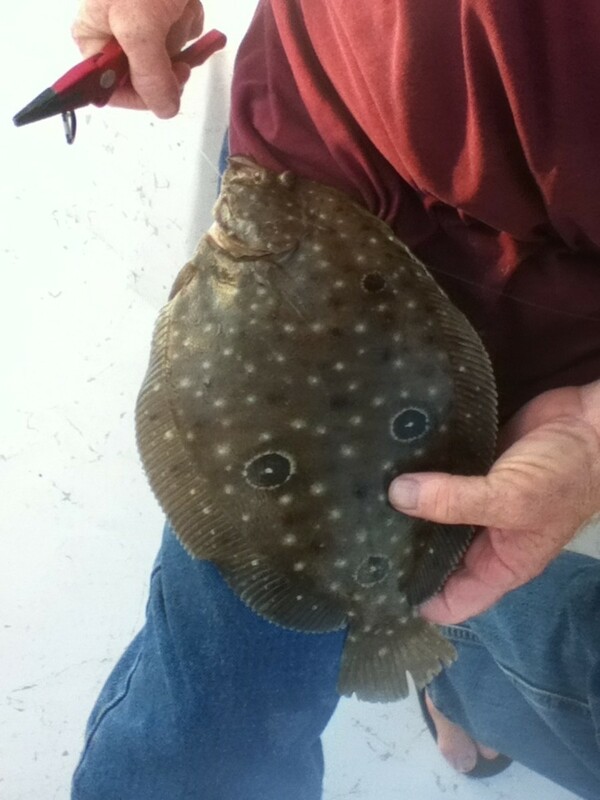 Flounder can be caught on a variety of dead baits, either whole or cut, although geneerally live bait works better. 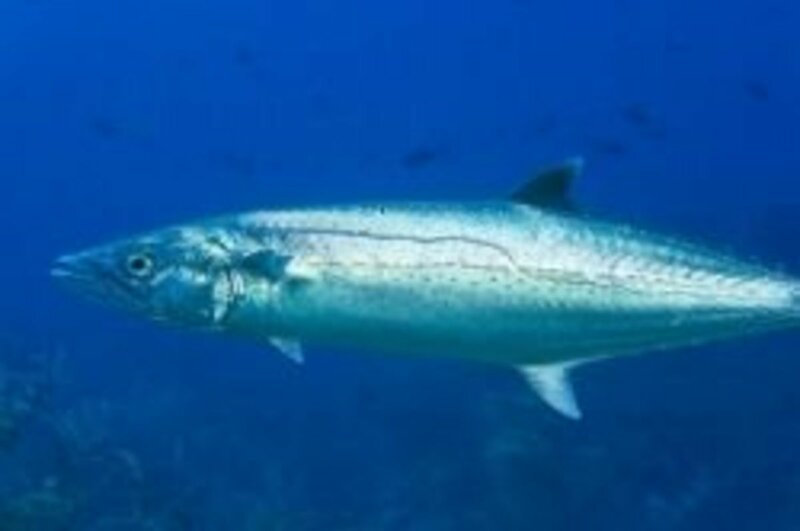 Any species of bait fish can be fished whole or cut into either chunks or strips and allowed to drift along the bottom. Dead bait should be fished with a slip-lead setup. If fishing from a boat, use a lead large enough to hold the bait on the bottom while drifting with the current. 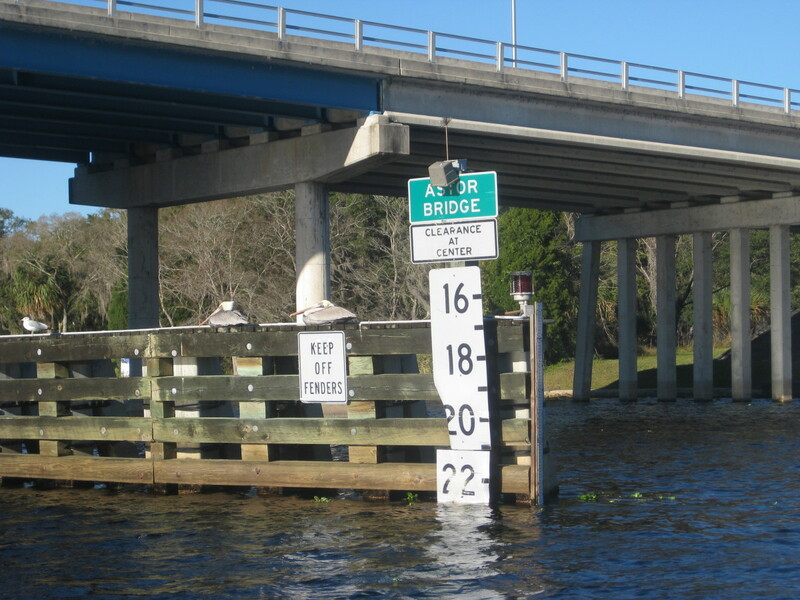 If fishing from shore or a bridge or similar structure, use a lead that allows the bait to drift slowly just above the bottom, or raise the bait and let out line to cover more ground. Normally a flounder will only eat a dead bait if it is right in front of it. A strip bait made from the belly of a flounder is another good option. For best results use a 1/4-1/2 ounce jighead and slowly bounce the bait just off the bottom. 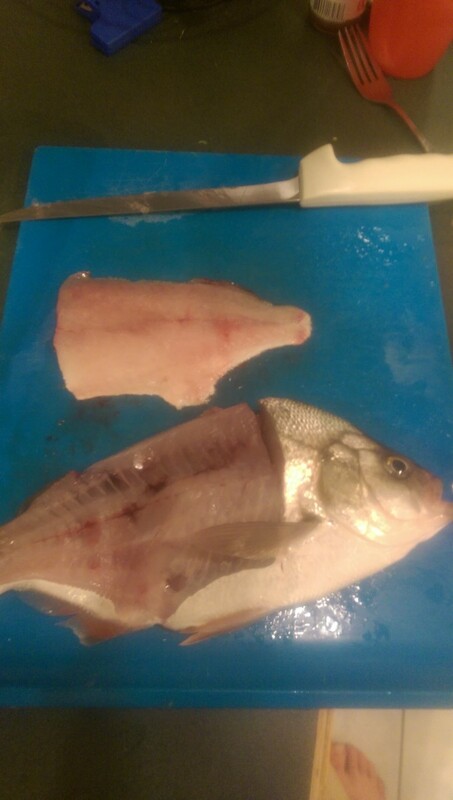 Strips of belly meat from a stingray or skate can also be used, but it doesn't seem justified to kill a fish for that purpose unless you are going to eat the ray or use the whole thing for bait. Flounder will readily take a jig tipped with a soft body. A jig head in the 1/4-3/8 range is perfect for flounder, though in deeper water you may have to use a larger jig to get the bait down near the bottom. The soft body can be a variety of colors, depending largely on the local prey species available. A white grub with a pink tail and a red jig head is a good catch all for most inshore fishing situations. Brown, clear, grey, and black are all good basic patterns for fishing for flounder. Personally I've had the best luck with a clear/grey pepper pattern with a split tail. For the most hits, slowly crawl the jig across the bottom, pausing frequently. For larger fish, I like to put a bit of action on the jig-jerking it fairly aggressively 2-3 times before letting it sink to the bottom again. Larger fish are more willing to leave the bottom to feed and are faster and more aggressive as well. This method also tends to set the hook immediately, rather than having to let the bait sit for 2-3 seconds to allow the flounder to eat it. Just like with live or dead baits, a bite can be very subtle-just an increase in pressure as if you had snagged the bottom. However a fish hitting a jig up in the water column will hit hard and dive back to the bottom. This is my favorite softbait for flounder. Pair it with a white or pink jighead for best results. Flounder are ambush hunters, using their flat shape and ability to camouflage themselves to surprise prey. Southern flounder can be found from North Carolina to Texas, but are absent from the Florida Keys. Their range overlaps that of the gulf flounder in the south and that of the winter flounder to the north. 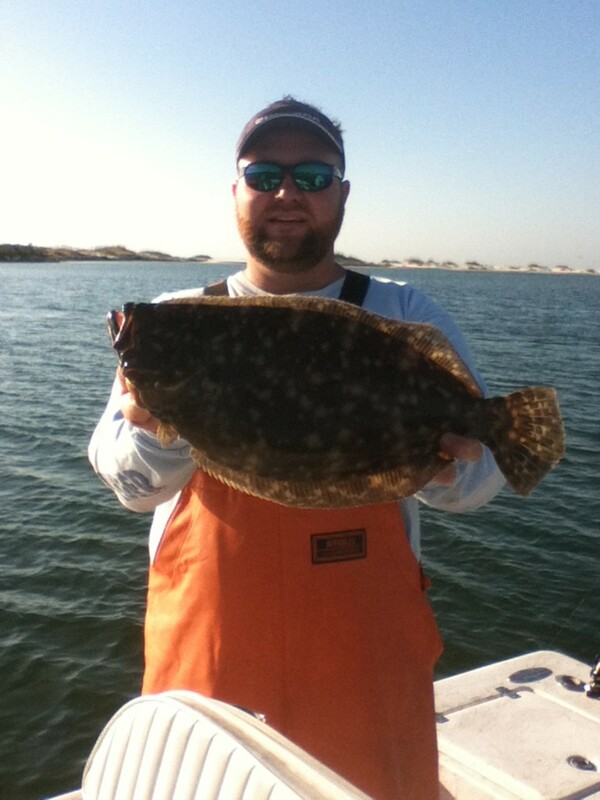 Most southern flounder caught weigh between 2-5 lbs, with the largest fish on record weighing in at 20lbs 9oz. Any fish over 4lbs is considered a "doormat." Southern flounder prefer mud or sand bottom near structure. Common flounder haunts are edges of grass beds, pilings, oyster bars, and sandbars. They can be found in water as shallow as a few inches, but larger fish spend more time in deeper water. If one flounder is caught in an area, more are likely nearby. Even if you don't catch one that day, it is highly likely that the spot will be repopulated within a few days at most. Just like humans, prime flounder real estate is all about location, and the best locations don't remain vacant for long. Flounder move offshore to spawn, and can be caught near hard-bottom or down-current of a wreck on sandy or mud bottom. All flounder prefer to sit on the bottom, hidden in plain sight, and ambush prey as it comes near. 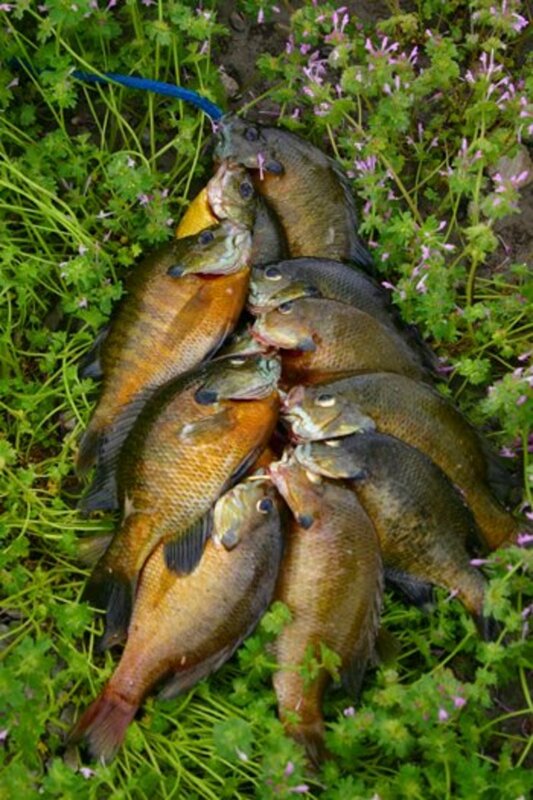 At times, though, they will aggressively pursue bait fish and feed all the way to the surface. Larger fish are more likely to aggressively pursue prey than smaller ones. Southern flounder feed primarily on crustaceans and invertebrates when young. As they grow larger they begin to eat bait fish. 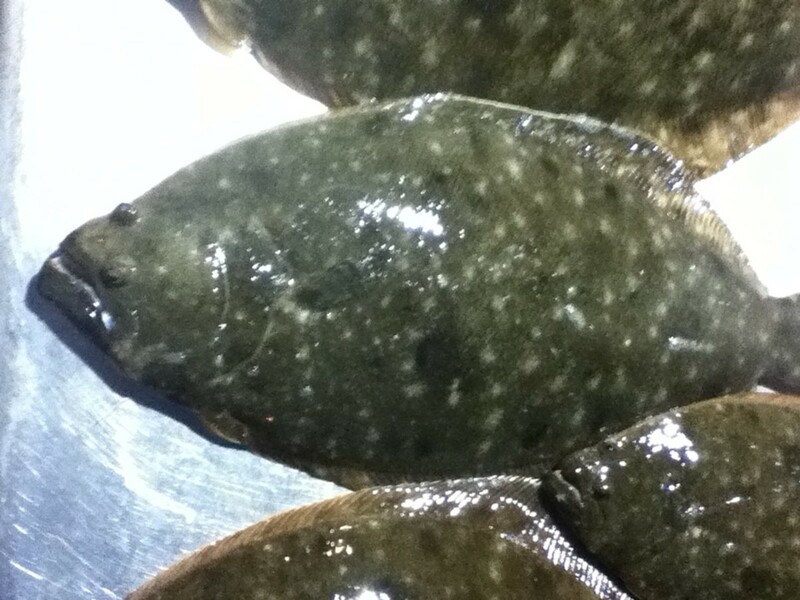 A large flounder will feed on just about anything small enough to swallow, from large bait fish to full-grown crabs. 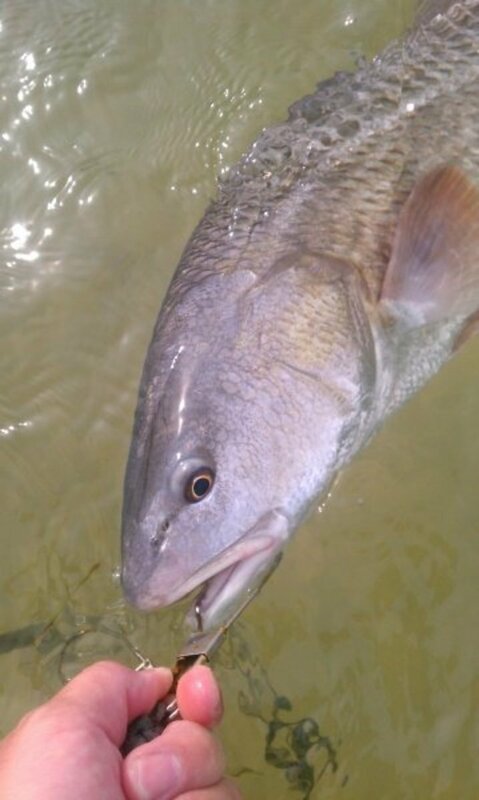 Common prey species include shrimp, small crabs, and bait fish such as menhaden, scaled sardines, spot, croakers, pinfish, mullet, and other many other species of fish. Nicely done! I enjoy fishing for fluke and flounder, and sometimes get surprised by a striped bass or bluefish that hits the bait. A few weeks ago, the reverse happened when I caught a 20+ inch long flounder while drifting clams for stripers. You never know what's gonna take the bait! Thank you for the praise :) These won't be static hubs either, I'll be adding more to them as time goes on. Well done! Anyone wanting to fish for southern flounder is now well armed! Your hub is informative and easy to read. Pictures compliment your writing very well. You are off to a great start here at HP and will have a faithful following for sure. Glen....My experiences with fishing is limited to tagging along with my Dad, as a child and the few times I may have taken my sons down to the Lake or the creek to entertain and keep them busy doing something with "fresh air" involved. I guess you'll have to read the hub I'm gong to make about it. In a nutshell it is the practice of taking flounder with a gig (think about a trident) rather than rod and reel. It will likely be a couple of thousands words in all when done. If you have another 1,000 words to say about gigging, then giggel on. I, of course, have no idea what that is. Foxes don't eat anything much bigger than a goldfish! Thank you for the support. I am going to be adding to this hub, possibly today. It needs a bit more in the 'tips/tricks' department and I'm debating whether to include a section on gigging for flounder or make that a separate page. Great information! You certainly are an experienced fisherman. Voted up!